How to Manage Incoming Text Message? 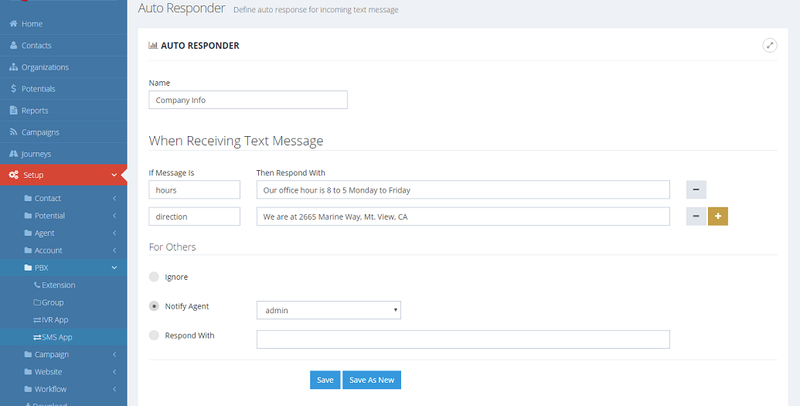 Incoming text messages are delivered to the sender's CRM record. By default, a notification will be send to his assigned agent. If there is no assigned agent, a notification will be sent to admin. To change the default, go to Setup, PBX, SMS App. You can setup Auto Responder for text message also. The following figure shows how to set it up.